​Anthony DiMeglio - Technician, office help, assistant. Best Management Practices certified. Anthony provides much needed assistance to our office staff, field technicians, and management. ​Jason Endicott - One of our most veteran team members since 2002. Best Management Practices certified. Jason is a true Lawn & Plant Health Care specialist, primarily servicing the Winter Park area. Great attitude, attention to detail, and a true passion for his profession make Jason an asset for our company and your landscape. ​Joseph Holloway - Joined the EPLS family in 2012, with years of experience under his belt. Best Management Practices certified. Joseph provides Lawn & Plant Health Care services primarily in Apopka and Mount Dora. He is also responsible for most of our commercial division. Dedicated and trustworthy, Joseph ensures his work is top notch. We are lucky to have him. You will like his work and hard work ethic. ​Roi joined EPLS in 2005 following earning his Master of Science degree in Entomology and Nematology from the University of Florida. Roi is a Certified Pest Control Operator. Best Management Practices certified. Roi provides a level of technical expertise that is uncommon in the pest management industry. He regularly offers seminars at the University of Florida Orange County Extension Office as well as at Harry P. Leu Gardens. Roi has been a guest speaker on the Better Lawns and Gardens with Tom MacCubbin radio show as well as Orange TV's Central Florida Gardening television series. Kelvin Carter – Lawn & Plant Health Care specialist. Kelvin joined our team in 2017, bringing with him a wealth of experience with many years in the pest control industry. He quickly picked up our service philosophy and treatment strategies. Kelvin is certified in Best Management Practices. He provides Lawn & Plant Health Care services primarily in Windermere. You will appreciate Kelvin’s diligence and attention to detail when working on your property. We certainly feel fortunate to have him on our team. ​Jake Montgomery, C.P.O. – Joined EPLS in 2016 as a Lawn & Plant Health Care professional, with 22 years in our industry under his belt. Jake is certified in Best Management Practices. His service areas includes Winter Park, Casselberry, and Winter Springs. Jake prides himself as a hardworking family man who goes above and beyond for his customers and friends. You will appreciate Jake’s attention to detail and can-do attitude. We are lucky to have him in our EPLS family. ​Steven Ruby - A veteran team member since 2006. Steven is an enthusiastic Lawn & Plant Health Care expert. Best Management Practices certified. Steven has a great track record for exemplary customer service, technical expertise, and troubleshooting skills. He is a professional, a leader, a role model. A man of Steven's caliber is hard to find. You're going to like his work. We certainly do. 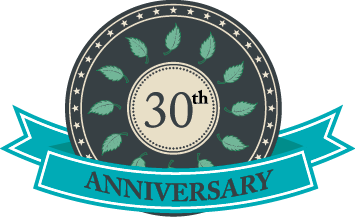 ​Dave Witt - Since 1999 Dave has provided unparalleled Home & Office Pest Prevention as well as Lawn & Plant Health Care services. Best Management Practices certified. 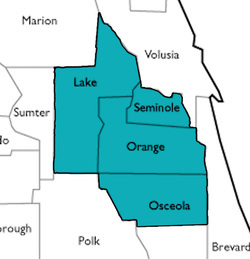 Dave is responsible for a large service area including Metro Orlando, Conway, Hunter's Creek, Winter Park, and Windermere. Dave is a Palm and Cycad expert, an excellent horticulturist, and expert structural pest control technician. We are very fortunate to have a man of Dave's caliber working with us. ​Mark Pyle, C.P.O., ISA Certified Arborist - President of EPLS since 1989. Industry veteran for 35 years. Mark is especially skilled at recognizing talent and surrounding himself with exceptional people.